Executive Personnel | Medical Diagnostic Laboratories, L.L.C. Dr. Mordechai is the founder of this laboratory. He is a graduate of Temple University where he was the recipient of The Florence Gloria Freedman Cancer Research Award. He completed his post-graduate work at Barrow Neurological Institute specializing in molecular neurobiology. Dr. Mordechai has published many research papers in the fields of infectious disease and chronic illnesses. He is an Associate member of the American Association of Bioanalysts as well as the American Association for the Advancement of Science. In 2002, Dr. Adelson began his appointment at Medical Diagnostic Laboratories, LLC (MDL) as the Director of Research and Development and quickly became known for his expertise in the development of diagnostic assays. In the following years, Dr. Adelson led the investigation of co-infection agents aspects of Lyme disease, partnered with physicians and researchers throughout the United States on studies around clinical pathogen prevalence, and oversaw development of new clinical diagnostic assays. 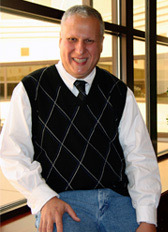 Dr. Adelson is also known for his innovative work in areas of laboratory automation. In 2010, as the Principal Investigator, he became a recipient of a Small Business Innovative Research (SBIR) funding grant for the development of the acoustic dispensation of nanodrops of reagents to achieve a very high-throughput of PCR-based diagnostics. Dr. Adelson has implemented various innovations and re-engineering initiatives, as well as leveraged customized technology solutions, to re-calibrate and enhance MDL’s work flow. In multiple iterations, he directly formulated the work flow and authored all of the underlying software. Each modification has resulted in a qualitatively new level of testing quality and diagnostic test throughput while reducing overall business costs. Dr. Adelson is the author of more than 45 publications and 65 abstracts, a member of the American Society of Microbiology, the International Organization for Mycoplasmology, and the Association for Molecular Pathology. He served as a reviewer on the peer-reviewed Journal of Clinical Microbiology and Diagnostic Microbiology and The Journal of Infectious Diseases. He is also a member of the Thomas Jefferson University Biotechnology Advisory Committee, an Associate Professor at Rowan University, a Medical Director for the Wadsworth Center New York State Department of Health, on the Scientific Advisory Board of JBS Science Inc. at the PA Biotechnology Center, and a founding member of the New Jersey and Pennsylvania BioTech and Life Sciences Leadership Council. 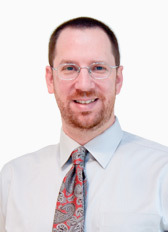 Now as the Chief Operating Officer of the Genesis Biotechnology Group, Dr. Adelson leads clinical, development, and discovery research operations in MDL, Venenum Biodesign, LLC, and Invivotek, LLC, with his main focus being shifted to scaling and expanding the existing business infrastructure through both organic growth and corporate acquisition.